Each month we present details on one of the many whales that inhabit or visit our waters. Some of which you may never have heard of. You can see all of our issues on all sorts of different cetaceans by using the drop down menu under Whale Kids. Since we are keen to look towards the future we shall endeavour to engage children (and their parents) as a priority. To this end we hope to devise projects and programmes that can engage young people, both as individual members as well as part of school oriented groups. However until we have sufficient personnel resources we refer children and parents to some of the excellent links which are already available : projects, facts and figures, sounds and how you can be engaged in a number of projects already on the go. Discovery journeys, adopting a whale, games that engage with the future of our marine environment as well as programmes that lead to people wanting to become kaitiaki (caretakers) of our natural environment. Browse through some of the site links we have included here. There are several books for younger children on the market incl. these featured here. 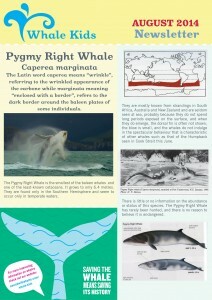 Or visit the numerous websites offering videos and in the case of one Dutch website fantastic whale and dolphin sounds. Grab a Dutch friend or relation and indulge. Do visit us, at first through this weblog, and in due course at our site in Picton. In the meantime visit your own local museum, whether in the Far North (Butler’s Point Whale Museum) , on the Chatham Islands or in Albany, Western Australia. We shall compile a list of known museum collections on this blog as a special feature later during our development stage. Additionally you can become engaged physically by logging into New Zealand’s own Project Jonah. Classroom Antarctica provides families and school students with a wealth of facts and figures and projects. New Zealand’s own Department of Conservation provides a wealth of information. Explore the National Geographic interactive blue whale page. Here you can compare the size of a blue whale to a triceratops, listen to whales communicating and find out about threats to these amazing creatures. Most educational sites have games for younger children including the Whale and Dolphin Conservation Society one. Talk to our Youth Patron Isaac Scott on his Facebook page and share his enthusiasm about all things cetacean.